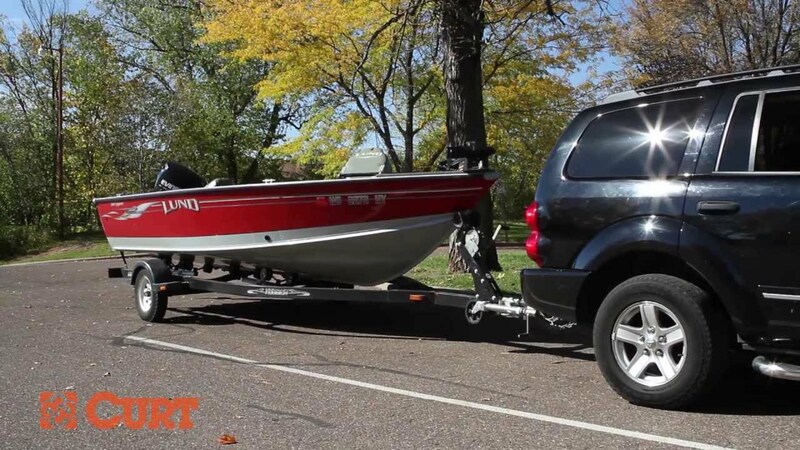 CURT jacks are made with quality to promote the life and function of your trailer, and they come in several different styles to accommodate your needs, whether you are a frequenter of the boat landing, the campground, the racetrack or the field. 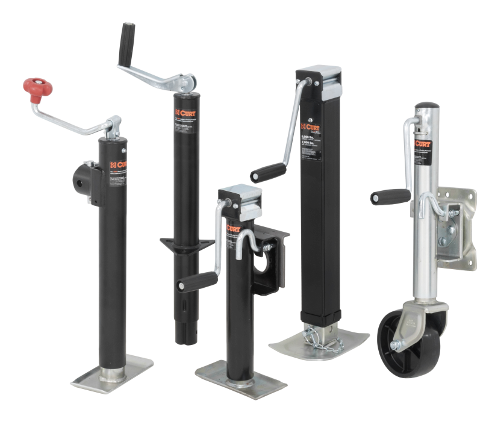 Choose from swivel jacks, A-frame jacks, marine jacks and square jacks. Each has its own set of advantages and is designed for a specific trailer type and purpose. CURT swivel jacks get their name from the pull-pin swivel feature that allows the jack to pivot on its mounting point and swing up and out of the way for travel. 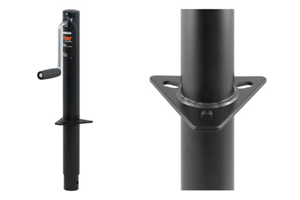 Our swivel trailer jacks are divided into two categories, pipe-mount and bracket mount, referring to the type of mechanism used to mount the jack onto your trailer frame. We have side-winding and top-winding options for both. 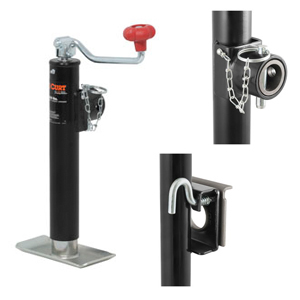 CURT swivel jacks range in weight capacity from 2,000 lbs. to 5,000 lbs., depending on the model, and this makes them an excellent choice for smaller to medium-size trailers. Also, with the included foot plate on the bottom, this type of jack provides added stability for the trailer. CURT A-frame jacks are designed specifically for A-frame trailers. They can be bolted or welded directly onto the trailer frame. Although they are not able to swing up and out of the way like CURT swivel jacks, A-frame jacks are made to retract completely to ensure enough clearance for safe travel. 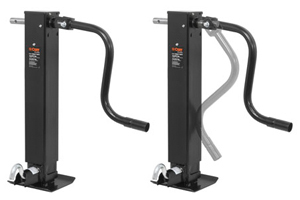 CURT A-frame jacks range in weight capacity from 2,000 lbs. to 5,000 lbs. and are available in either top or side-wind styles. Designed to withstand the wear and tear of frequent water exposure, CURT marine jacks are the jack of choice for the avid fisherman or boating enthusiast. Our marine jacks have a few features that make them a special addition to our trailer jack line. Unlike our other jacks, CURT marine jacks are equipped with wheels, allowing for greater mobility and easier coupling of your trailer. Choose from models with one or two wheels. Marine jacks also have a heavy-duty pull-pin that allows them to pivot on their mounting bracket to be out of the way for travel. To protect them from corrosion and the damage of moisture, these jacks come with a zinc finish. All CURT marine jacks feature a side-wind handle, and weight capacities are available from 1,000 lbs. to 1,500 lbs. CURT square jacks are a heavy-duty trailer jack option. They are designed to weld directly onto the frame of your trailer for superior holding strength. These heavyweight models have support capacities ranging from 8,000 lbs. up to 12,000 lbs. and lift capacities between 7,000 lbs. and 10,000 lbs., depending on the model. CURT square jacks are available in side-wind or top-wind handle options and are an excellent choice to meet the high demands of the farming life and construction industry.